Call us at 858-689-8444 or stop by our manufacturing show room at 7527 Convoy Court, San Diego, CA 92111. Our experienced staff will take care of all your flag and flagpole needs. Above all, we are flag makers. 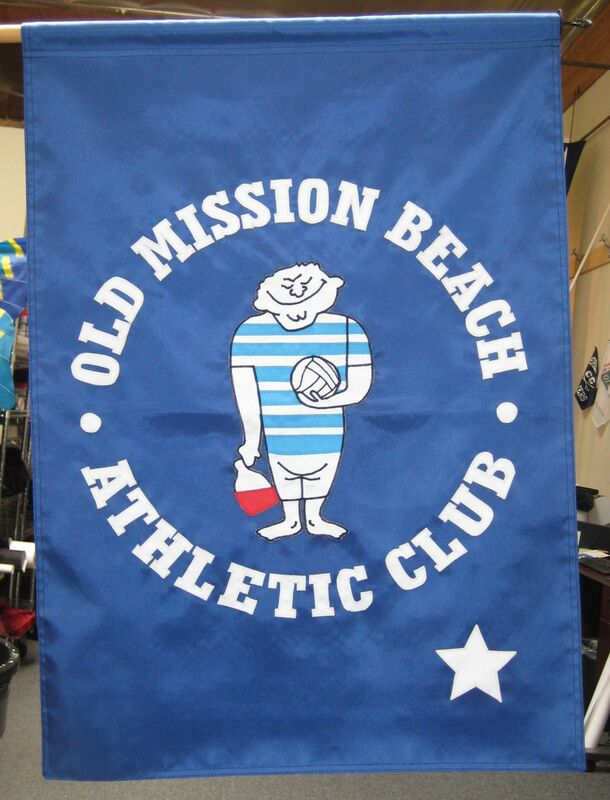 Located in San Diego, CA, Sunward Flag manufactures a wide variety of custom flags. We understand that for most, a flag is not just a commodity but holds special significance to the individual or group for whom it is made. 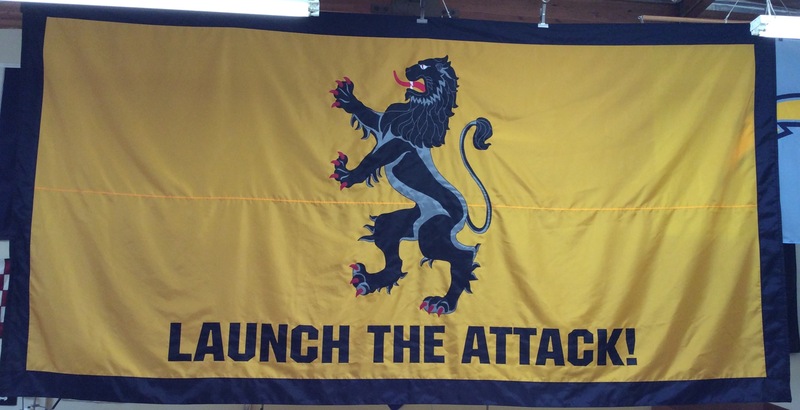 Our custom flag makers can transform your creative ideas into a dynamic flying reality that will represent and identify you. This gives us a unique perspective that can benefit you in the selection of your flag. We also stock all sizes of American made U.S. and California flags and an assortment of military flags including “POW MIA” and “Don’t Tread on Me”, flags. 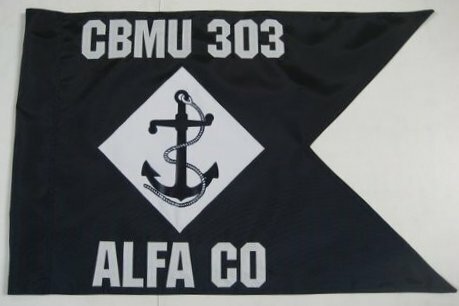 We are proud to support our military and custom make such military flags as Guidons, Award Pennants, MUCS, NUCS, JMUCS, Commissioning Pennants, Homeward Bound pennants and Admiral Flags, all to military specifications. 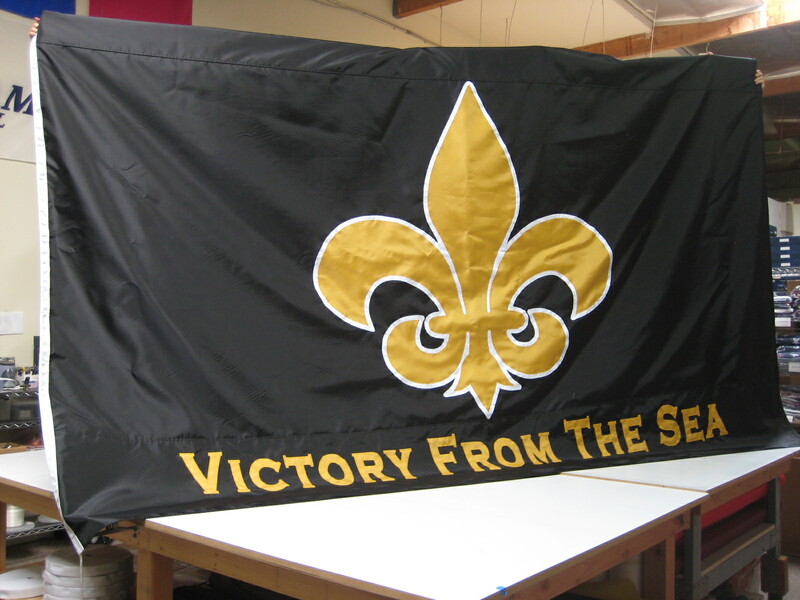 We also specialize in custom flags for businesses, colleges, property management groups, teams and individuals. Take a look at our Gallery page to see the wide variety of flags we have made. Flagpoles are also an important part of what we offer here at Sunward Flag. From 20’ residential to 80’ commercial flagpoles, we sell, install and repair whatever you need. From halyard and snaps to trucks and locks, we also stock flagpole parts right here in our shop for just about every flagpole made. Our experienced and licensed installation crew, can install as well as service your residential or commercial flagpole. Call us at 858-689-8444 or stop by our manufacturing show room at 7527 Convoy Court, San Diego, CA 92111 and our experienced staff will take care of all your flag and flagpole needs. Thanks so much for our beautiful flag AND thank you for your awesome customer service! You guys are awesome! Good afternoon Sunward Crew! I would like to thank you for delivering an amazing product. Thank you for your time, service and dedication to your product and customer satisfaction! We at Hawthorne truly appreciate it!